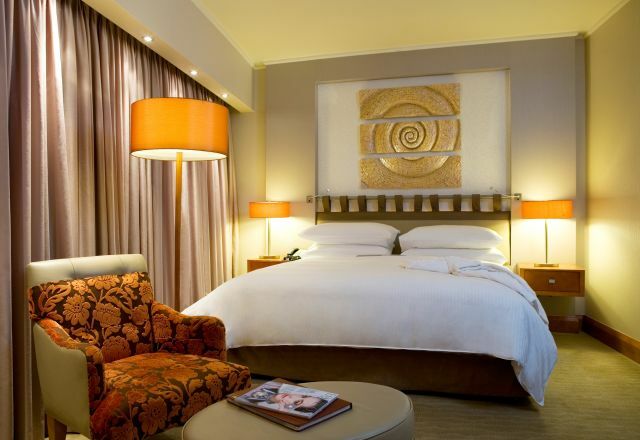 InterContinental Johannesburg Sandton Towers offers its guests a range of comfortable, elegant and luxury accommodation in Johannesburg. Most rooms look out on the vibrant Sandton cityscape while remaining a sanctuary of calm and quiet. Visitors are assured of comfort, spaciousness, and privacy, with accommodation that reflects a philosophy of elegant luxury. Each well-appointed en-suite guest room offers a full range of amenities which include TV with DStv and a DVD player, complimentary WiFi, in-room coffee machine, electronic safe, mini bar, and more. The double-storey Penthouse suite includes a kitchen, lounge, dining room, two bathrooms, sitting room, and upstairs bedroom. Guests also enjoy the convenience of 24-hour room service, while the Penthouse suite includes the services of a 24-hour butler for the most convenient luxury stay in Johannesburg. 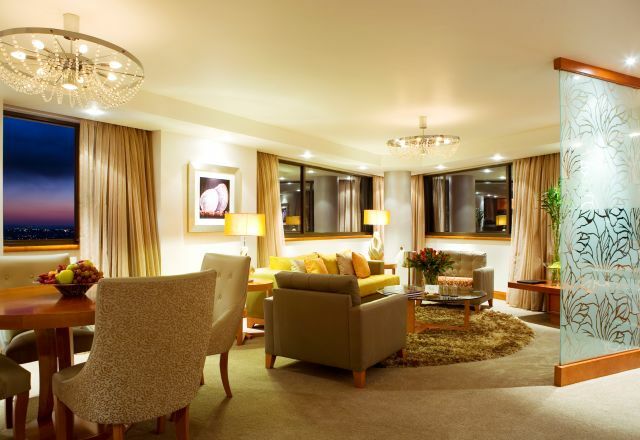 Club Floor rooms offer what is regarded by many as the finest executive business accommodation in Sandton. 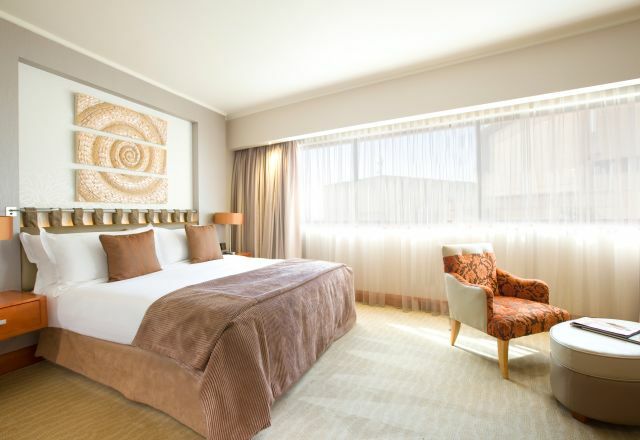 Experience refined and elegant Sandton accommodation in one of the Corner Deluxe rooms. 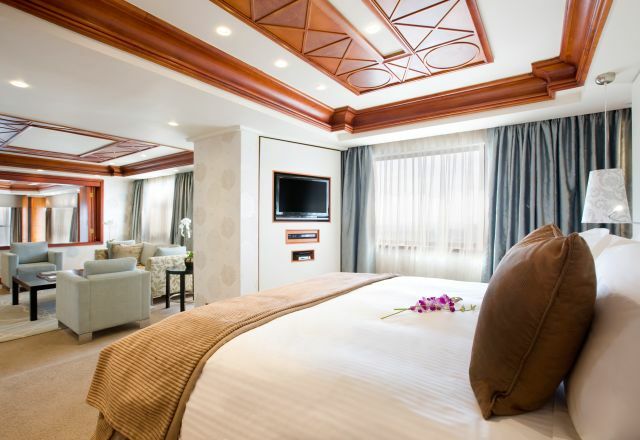 Deluxe rooms include an en-suite bathroom in addition to a host of amenities that add to your sense of comfort. 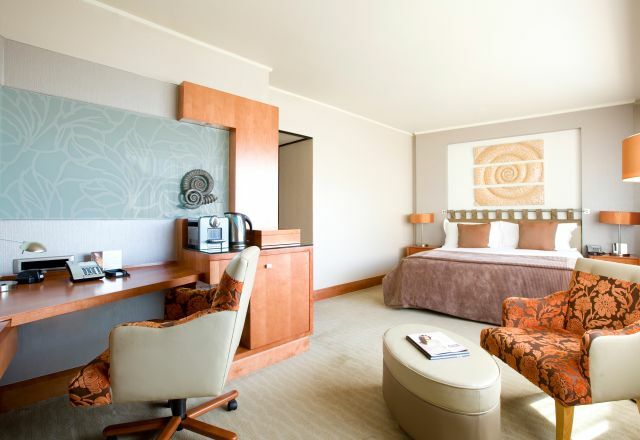 Club Suites include a spacious lounge and dining area, walk-in closet, en-suite bedroom and large work station. Experience luxurious living over two floors in the incomparable Penthouse Suite in Johannesburg’s business hub of Sandton.